Summer is here!!!! That means burgers, burgers, and more burgers! 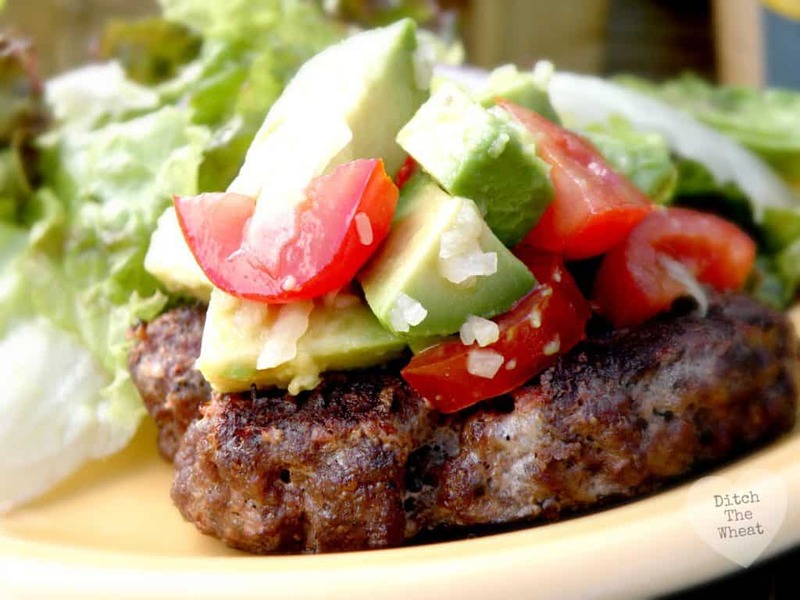 I don’t eat my burger with a bun anymore but if you do check out my recipe for hamburger buns. Instead I get creative with my burger toppings. 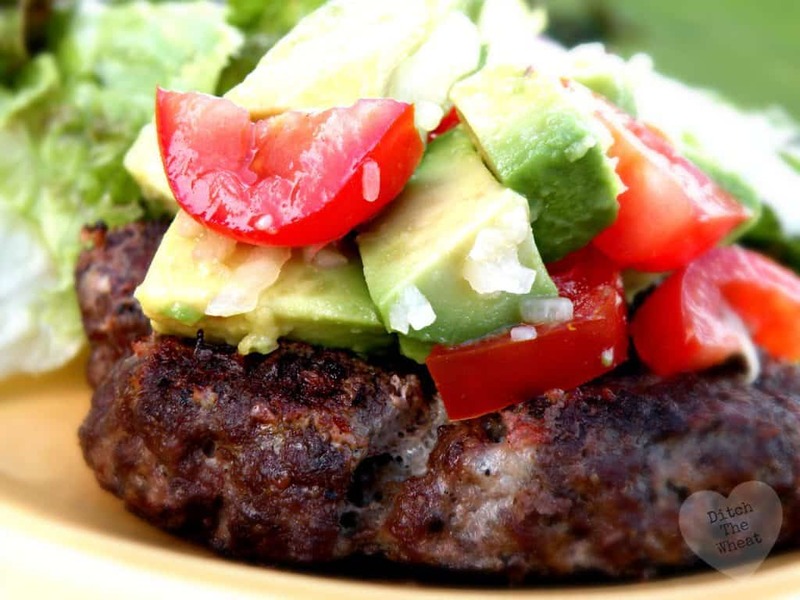 My avocado salsa burger topping is inspired by guacamole. I’m crazy for avocado. Every time I eat some I call it happy hour! After doing more research on avocados I learned that the tryptophan in avocados turns into serotonin in our brains. You can read more about the food mood connection in Maria Emmerich’s book (GREAT BOOK!). In a bowl mix the ingredients together. Place on top of a cooked hamburger. What is your favourite burger toppings?? ?